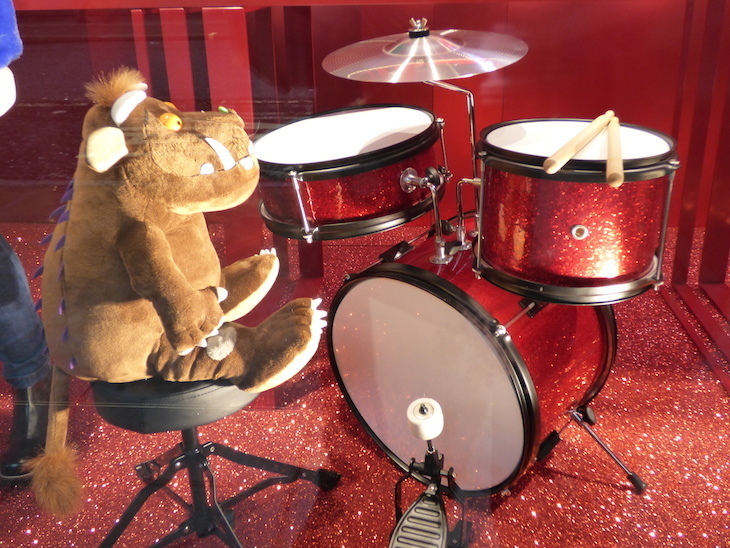 Can We Predict The John Lewis Christmas Advert 2018 From The Oxford Street Windows? Laura Reynolds Can We Predict The John Lewis Christmas Advert 2018 From The Oxford Street Windows? Moz the Monster. The Man On The Moon. Monty the Penguin. The Bear and the Hare. 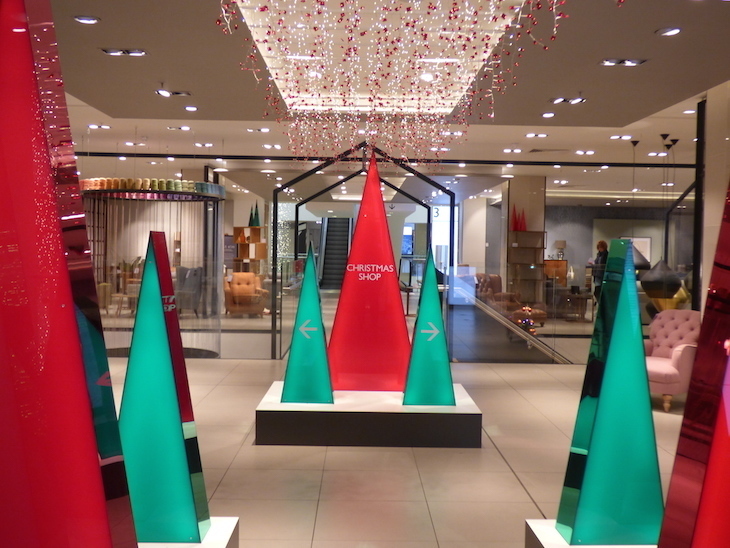 The John Lewis Christmas advert has become an event in itself, as synonymous with the start of Christmas as the Trafalgar Square tree and the Oxford Street lights. What's the 2018 John Lewis advert about? 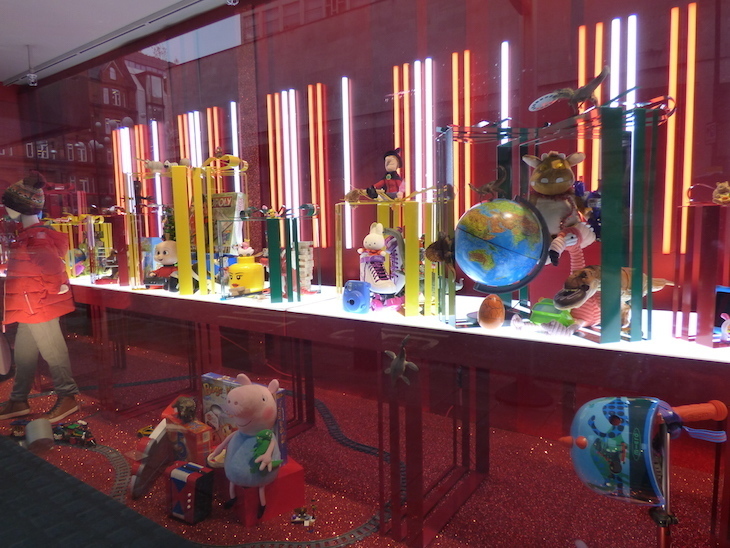 The Christmas windows aren't yet in place on the Oxford Street and Old Cavendish Street sides of the building, but they are on show on Holles Street and Henrietta Place. No one theme stands out except colour — specifically, very red reds and very green greens. 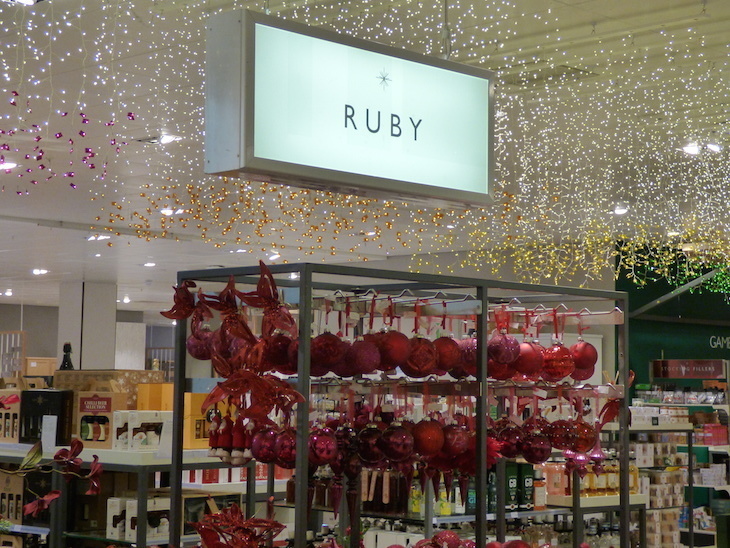 Inside the store, in the third floor Christmas department, colour is still king, especially red and green — or should that be 'ruby' and 'emerald'? The tree decorations are arranged by colour, given jewel names - think ruby, emerald, amber, gold and jet. But colour's not really a theme, is it? Taking a closer look at the individual items, we notice a recurring pattern, and we think we might be onto something... space. 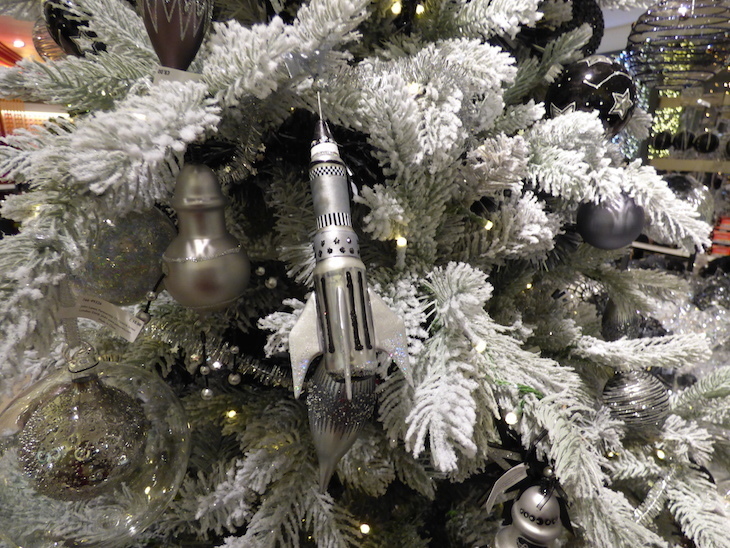 Several items have a space theme, including rocket-shaped Christmas decorations, and Santa spaceship cards. Space: Santa in a spaceship and Rudolph in a rocket lean heavily towards a space/out of this world/rocket themed advert. Elton John: It's been rumoured that the singer's been signed up to star — and sing — in this year's advert. More on that below, but given his song Rocket Man, that'd tie in very nicely with what we've seen. One of the windows that has already been revealed suggests a musical theme... could be Elton, could be Queen. Frost fairs: The Oxford Street store's roof has had a frost fair themed makeover, complete with cosy winter cabins and a rooftop ice rink. The frost fairs that used to take place on the Thames would make for a festive, cosy, warming theme — but don't forget that this advert is shown nationwide, not just in London. Possible, but not very likely. So, our prediction? 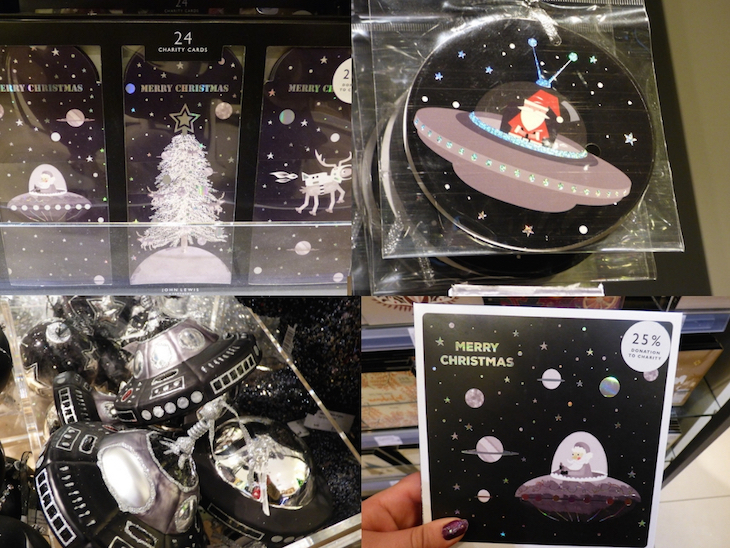 Elton John, in a sparkly red suit, sitting at his piano, singing Rocket Man while rockets, flying saucers and the like whizz around behind him, in the style of store's earlier Bohemian Rhapsody ad. When will the 2018 John Lewis advert be shown? The exact date hasn't yet been revealed, but we'd hazard a guess of Thursday 8 or Friday 9 November 2018, based on previous years' release dates. Is Elton John in the 2018 John Lewis advert? 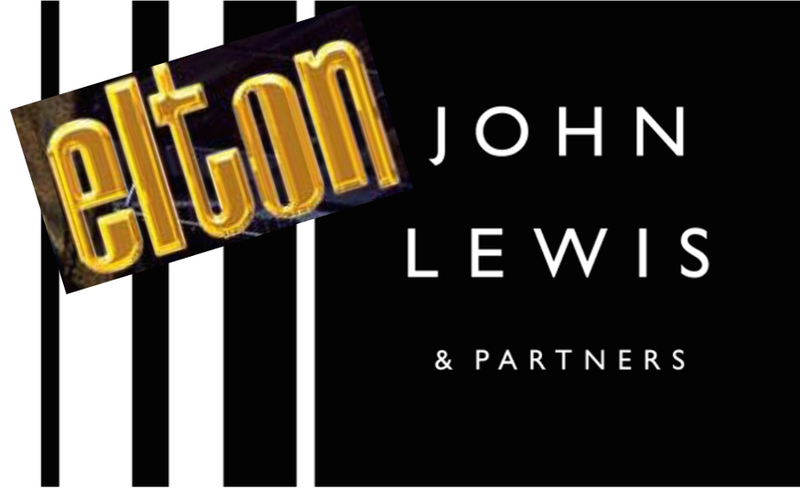 It's looking likely that Snickers isn't the only lucrative advertising contract Elton John has signed this year; there are rumours that half of the £10m budget for the advert went on signing Elton John to appear in John Lewis's festive offerings. How much did the 2018 John Lewis Christmas advert cost? £10million apparently, compared to the £7million Moz the Monster cost last year. 2016's Buster the Boxer also cost around £7million. Who makes the John Lewis Christmas advert? 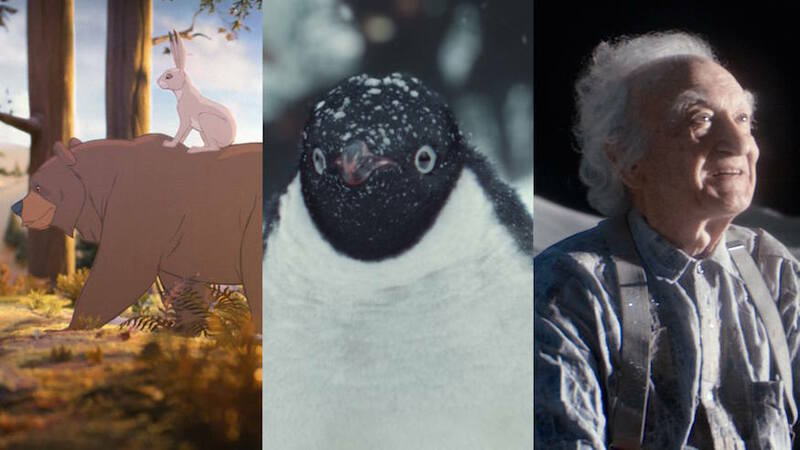 Paddington based communications agency adam&eveDDB has been responsible for the John Lewis Christmas advert every year since 2009, as well as handling other John Lewis advertising throughout the year. Spare a thought for poor John Lewis, a Virginia man who beat the department store to snagging the @JohnLewis Twitter handle. 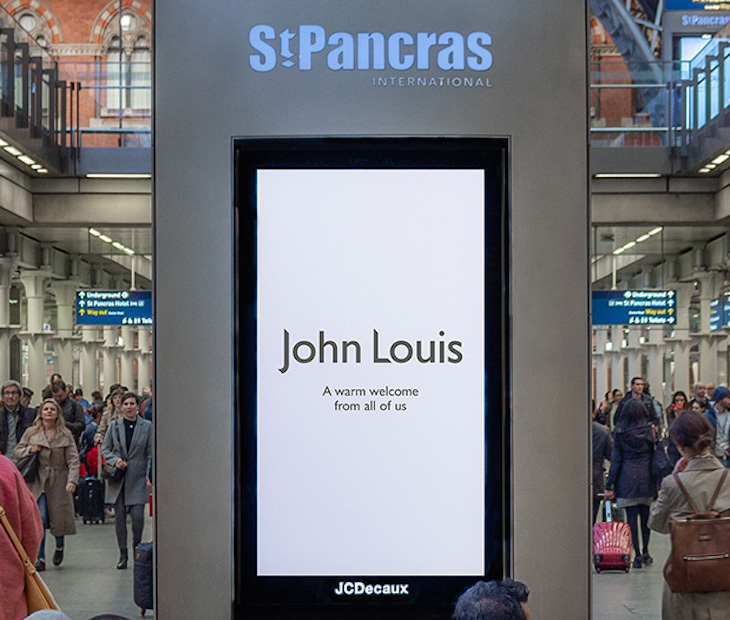 Throughout the year, he patiently redirects misplaced complaints towards @jlandpartners (previously @johnlewisretail, until the company rebranded earlier this year) and is always completely inundated on the day the advert airs. Here starts the campaign to make him the star of the 2019 Christmas ad. Follow (the right) John Lewis on Twitter and Facebook for updates, and get in the mood with these Lego recreations of past John Lewis adverts. See our guide to Christmas in London for more festive fun, including that rooftop ice rink, and where to see Father Christmas.